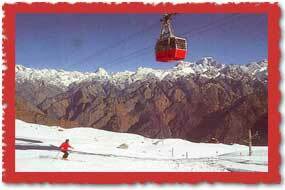 Auli is nestled in the lap of snowcapped peaks of the Garhwal Himalayas, in the Chamoli district of Uttar Pradesh, and near the world-famous religious shrine of Badrinath. 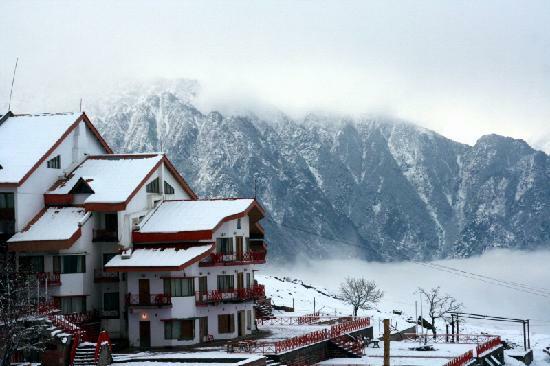 At an altitude of 2,500 to 3,050 meters above sea level, Auli’s well-dressed slopes are flanked by coniferous and oak forests, which offer a panoramic view of Mountains. If you are out for adventure, fun and frolic this winter, find yourself in Auli, in the vicinity of the mountain peaks Nanda Devi and Mana Parbat.